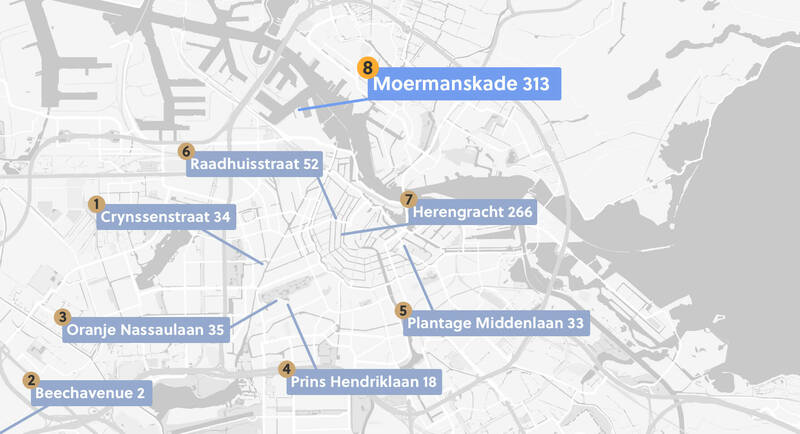 M2mobi - From the Herengracht to the Houthavens. M2mobi is moving. From the Herengracht to the Houthavens. M2mobi is moving. After six fine years at the Herengracht, we’re moving to one of the most beautiful locations at the Amsterdam Houthavens, this summer. We will settle at the tip of the Moermanskkade on the third floor of the loft building '300 Moermansk' which is currently being built. 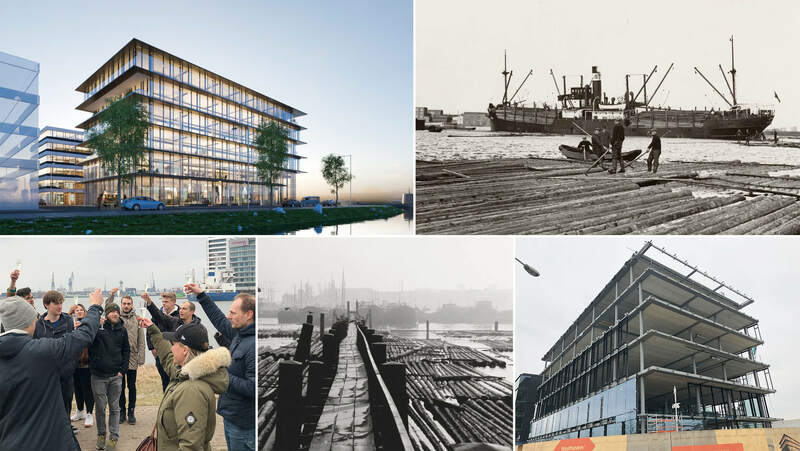 The office will be characterized by glass facades that provide a beautiful view of the IJ and the old industrial harbors. What the office will look like from the inside will be kept secret for a while, but it will be industrial, light and warm for sure. It is amazing to see how our company has grown in the past eleven years. From developing own apps, to developing apps for international clients with a team of more than 30 people. The modern and spacious office on the Moermanskkade offers us the opportunity to continue this growth. In addition, it will now be even easier to work with client teams at our location. We will also create a space where we can organize events, such as the CocoaHeads meetup, Android User Group and Mobile Reboot. Back in 2007, M2mobi (then called Spaesuvius) moved from their garret to the first temporary office at Schiphol-Rijk. Many temporary offices followed, from the Vondelpark to the canals. In 2012 we settled in our first permanent office on the Herengracht. Now six years later, it is time for a fresh start in the industrial Houthavens.